Hashtags are an integral part of Twitter and Instagram (and Facebook, to a much lesser extent). As such, they should be part of our social media marketing on each platform. But as DiGiorno and many other brands have shown, it’s not enough to look at the trending tags and hop on board. Marketers need to understand what hashtags are for and how our audience is using them before we jump in. Here are the #fundamentals you need to avoid invisibility or embarrassment with hashtags. Hashtags started as a feature on IRC (Internet Relay Chat) channels back in 1988, when the internet still ran on steam turbine power. The “#” in front of channel meant that it was available for users across the internet, not just on a local area network. Twenty years later, IRC fans who were early Twitter adopters proposed using the symbol to help classify common topics or groups. Twitter itself didn’t officially recognize hashtags for two more years. In 2009, the site started automatically hyperlinking hashtags to search results. Facebook added hashtags in 2013, but they don’t see as much use on the platform. By contrast, Facebook-owned Instagram practically runs on hashtags. It’s not unusual to see a post with a four-word captioned followed by a paragraph of tags: #NoFilter #WokeUpLikeThis #BeachLife #SanDiego #ChihuahuaLove. Clicking any of the tags leads to a custom feed of images with the same tag, much like Twitter’s search functionality works. Hashtags began as a way to categorize information for future searchers, much like the category or topic tags on a blog. In that case, using the right hashtags is more like SEO than anything else; it’s all about making sure your message comes up for the right query. But hashtags aren’t really for search anymore. Hardly anyone is going to the search box on Twitter or Instagram and putting in a keyword to pull up a specific hashtag. Hashtags are not really for marketers to boost their brand or their content, either. We can strategically use hashtags for that purpose, but we must remember that’s an off-label use. It’s important to tread lightly on using hashtags promotionally – as DiGiorno and many others can attest. 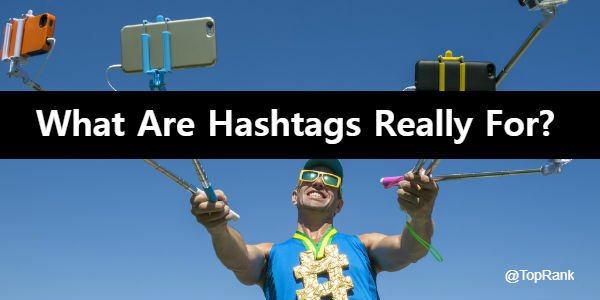 If it’s not about search or self-promotion, how should marketers think about hashtags? Or, better question, how does your audience think about hashtags? Social media feeds move fast. Hashtags are a way for users to block out space to have a conversation. “We’re telling this type of story in here.” “We’re sharing this type of picture in here.” Using a specific existing hashtag should come with the knowledge that you’re entering someone else’s conversation space. 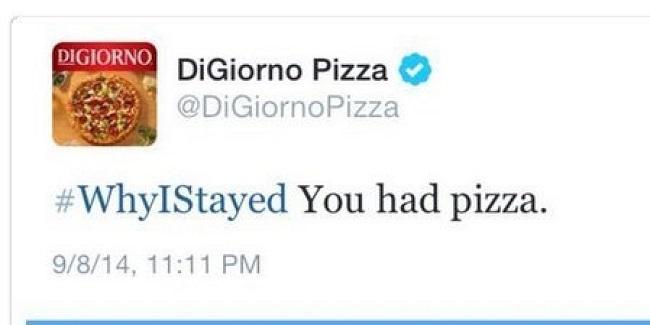 The social media manager at DiGiorno likely wouldn’t go up to a group of people talking about a sad and serious topic in hushed tones and shout, “PIZZA!” But that’s exactly what they did on Twitter. When you’re making your own hashtags, keep in mind that you’re starting a conversation. You can’t control who contributes to that conversation and what they might add to it. For example, in 2012 McDonald’s used the hashtag #McDStories in a tweet, seemingly inviting users to share their own special memories of the chain. Instead, they got stories about food poisoning, diabetes, heart attacks, and animal cruelty. It turns out McDonald’s had intended to use the tag to promote stories from employees and others affiliated with the brand. But they accidentally started a much wider conversation. With a little forethought, the mess could have been avoided. Good hashtaggery starts with understanding that hashtags are a conversation. From there, the optimum tactics for using hashtags vary from platform to platform. The good folks at Buffer have an in-depth guide that touches on each of the major social media sites. Hashtags started as a tagging tool for search. Today, they’re used to create a space for conversations, group people with similar interests, and fill Instagram feeds with puppies. To be most successful with your hashtags, respect conversations that exist already, and be cautious about the conversations you start. Need to #LevelUp your social media marketing? TopRank Marketing can help. The post What Are Hashtags Really For? #Confused #Blessed #NoFilter appeared first on Online Marketing Blog – TopRank®. Now, after an intense year of political and social upheaval – not to mention the emergence of the fake news engine and the Russian advertising scandal – it’s no surprise that Facebook is re-examining things yet again. Ends the organic reach of the News Feed and increases the importance of adding pay-to-play to your marketing mix – something that will likely require a bigger budget. Last year, we saw influencer marketing explode – becoming one of the most talked about topics among marketers and arguably our most-requested digital marketing services among both B2B and B2C clients. In addition, our own research shows that 57% of marketers say influencer marketing will be integrated in all marketing activities in the next three years. With Facebook reducing branded content and elevating content from individuals, there’s no better time to invest in influencers – which can have an impact across all social platforms. 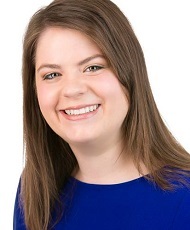 Now, we’ve always said that when it comes to building relationships and rapport with influencers, it’s critical that you put the time and effort into nurturing – rather than simply reaching out when you have a need. There has to be shared value. But I think most marketers would admit that they have significant room for improvement in this area – and there’s no time like the present to recommit yourself. Let’s face it. This “major change” to Facebook’s platform isn’t the first and it certainly won’t be the last. As a result, now is the time to fully capitalize on the opportunity by better working with industry influencers. Now is the time to refocus on connecting with your audience – and influencers can help you do just that by adding authenticity, credibility, unique insights and new eyeballs to your content. 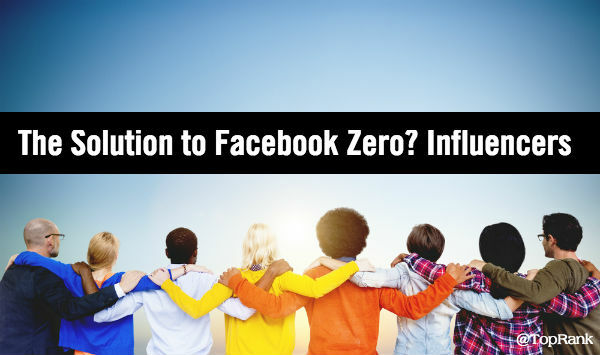 The post Death of Facebook Organic Reach = New Opportunities for Influencer Marketing appeared first on Online Marketing Blog – TopRank®. We’ll see you next week when we’ll be sharing all new marketing news stories. Also, be sure to check out the full video summary on our TopRank Marketing TV YouTube Channel. The post Digital Marketing News: Instagram Gifs, Google AutoML, App Spend hits 86 Billion appeared first on Online Marketing Blog – TopRank®. “ROI” can be a blurry idea in the world of content marketing. With often hard-to-measure costs and returns, content marketing ROI or value isn’t always crystal clear. Dealing in metrics like pageviews, time-on-page, organic impressions, and others aren’t always directly translatable into business revenue, which – let’s face it – is what your bosses really care about. Without setting a measurable goal, one could argue that your #contentmarketing didn’t accomplish anything of real business value. 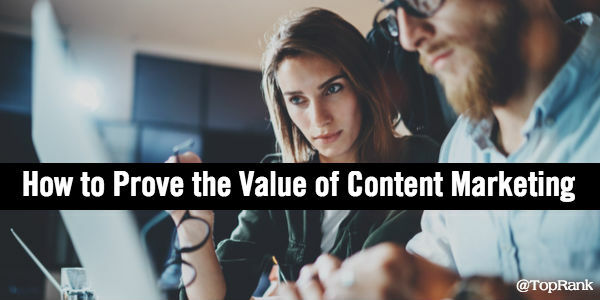 The post How to Prove the Value of Content Marketing to Your CMO in 3 Easy Steps appeared first on Online Marketing Blog – TopRank®. The new year is barely underway and already we’re already seeing significant shifts in digital marketing. Facebook recently announced their decision to favor friends over brands in news feeds and YouTube has tightened the reins on what channels can be monetized. And this is just within the first few weeks of the year. Undoubtedly, digital marketing tactics like content marketing, SEO, paid, influencer marketing and social media will all face changes in the coming year. Some of which we’ll be able to predict, and some of which we won’t. However, today’s best marketers know that individual marketing tactics do not stand alone. Which means that integrated, “best answer” digital marketing strategies will reign supreme. That is why instead of focusing our team’s predictions on how individual tactics will evolve in 2018, we’ve uncovered how the role of each tactic will change as part of the overall digital marketing mix. As we head into the heart of Q1 2018, marketers are just as overwhelmed with tactics as buyers are with content. This paradox of choice at scale incurs costs that range from dissatisfied customers to ineffective marketing programs. With increasing demands, fewer resources and greater complexity in marketing that now includes smart speakers, VR/AR, IoT, AI and all forms of disruptive technology, marketers are looking for the universal truths that will keep them on track and effective. In my book, Optimize, I talked about a customer centric approach to digital marketing that emphasized search, social and content. The truths about how customers engage content to make decisions outlined then are equally true in 2018 and for nearly any kind of platform. Those content truths are: discovery, consumption and action. 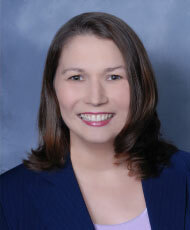 Discovery: Where do buyers look for solution information? What do they say to their Echo or Google Home device? What do they search for on their phone or tablet? What sources do they subscribe to for updates on their smart watch? Of course laptop, tablet and mobile search and social media behaviors are still relevant. Consumption: What are your buyers’ preferences for engaging with the content they find? Do they read/watch/listen on the discovery platform or save/subscribe for later? Are there preferences for experiencing or interacting with content vs. simply read/watch/listen? Images vs. videos vs. audio vs. interactive on various devices is still relevant. Action: What triggers will inspire action? Do buyers need content personalized on the fly or are they willing to exchange contact information to be fed personalized content? What will it take to motivate share, subscribe, inquire, transact or refer? All still relevant. Marketers in tune with truths about how customers find, engage with and take action on information will reveal whatever technology, platform, media format and experience buyers need. As part of an ongoing effort to optimize marketing with a customer focus, these truths can help architect successful marketing programs in 2018 and for years to come. There’s a distinct movement taking place in content marketing, with the focus increasingly shifting from quantity to quality. With so much volume out there, it only makes sense to spend our time creating fewer assets that will truly stand out, as opposed to larger amounts of unremarkable material. Since content is already integrated with basically every aspect of a comprehensive digital marketing strategy (or should be at least), I foresee this change in mindset applying to every corner – social, paid media, lead nurturing, data analysis, and so forth. For years marketers have been talking about the importance of customer experience. And for years, marketers have struggled to uncover the information that makes it possible to create a stellar customer experience. The game changer in 2018? The emergence of Artificial Intelligence. In 2017, AI finally began to become more mainstream which allowed platforms to begin harnessing its true power for marketing. In 2018, it will become essential that marketers use data collected by AI to make smarter marketing decisions that will allow them to personalize content, create more data informed social media marketing plans and better target SEO keywords. What does UX and good design have to do with SEO? Good UX keeps people on the page when they arrive to your site. The same holds true for good copywriting. It’s a one-two punch as people’s search process involves quick scans of copy and page design as they’re determining which result will best serve them. This is all due to RankBrain, which has been around for a while, but it’s sinking in just how important it is being the 3rd most critical ranking signal. So in 2018, look for SEO to further overlap with UX teams and copywriters as they team up to boost the two main RankBrain components of page dwell time and SERP CTRs. I think influencer relations will take on an increasingly bigger role affecting not just marketing but also sales and support. Partnering with the right people gives businesses unfiltered and holistic feedback that when combined with other key data points makes planning and decision making more effective. This increase in importance will require influencer marketing tools, tactics, and practitioners to bring nothing but their A-game. From compelling ad copy to best-answer blog posts to video on social media – content is the foundation of any digital marketing strategy. Period. And I think we can all agree that won’t change anytime soon. But one thing I see on the rise for content marketing in 2018 and beyond is a refocusing on developing content that aims to bolster and grow existing client/customer relationships. We’ve all heard the stats on just how much it costs to acquire a new customer versus keeping an existing customer, but content marketing has largely been leveraged to move prospects through the funnel and get that first sale. I think it’s high time marketers developed more robust strategies to nurture after the first check clears. After all, more often than not, B2B and B2C companies alike are more than just one product or service offering-but many of your current customers and clients may not know just what you’re capable of. So, show them. Ad blocker adoption grew 30% in 2016 (numbers for 2017 aren’t out yet, but I’m sure they will show continued adoption) and even browsers are getting in on the action. So, instead of killing display ads as a whole, I predict that this desire to block ads is going to actually help the industry and drive display ad spend. Projections show that display ad spend should grow by about $5 billion in 2018. Targeting is drastically improving. Programmatic targeting, account based targeting, interest and affinity targeting, and retargeting are all improving and driving more qualified impressions and clicks at a much lower CPC than search ads and most social platforms (for now). Display advertising placements have to/and will stop being so awful and intrusive. Publishers that offer ad space have to do better. If they don’t they run the risk of losing traffic. In January 2017, Google penalized sites that have “intrusive interstitial ads” and Google’s amp project is already shaking up ads on mobile devices. If publishers don’t comply they run the risk of losing traffic and losing ad revenue. So what does this all mean? Even though users will attempt to block ads the CPC, targeting, and improved ad viewing experience will allow display ads to become a bigger piece of the digital marketing mix in 2018. Content marketing, if it isn’t already, will be driving the digital marketing mix in 2018. After all, the foundation of the internet and the genesis of search were both inspired by content. With this in mind, each component or tactic within the digital marketing mix will need content behind it. This includes influencer marketing programs, social media campaigns, video, events, etc. and anything else you might be adding in the year ahead. Each piece of the mix needs content to fuel it. Instead of asking how does our content fit in the mix, we’ll be asking how the mix supports our content. The root of influencer marketing is “influence”. You add marketing to the mix, and it leads to how can someone influence a person’s buyer behavior. I believe that in the next year, we will begin to see that signal of influence move down the funnel and into ABM strategies. Currently, influencer marketing addresses mostly top of the funnel marketing initiatives. In order for this change to happen, marketers need to look at their influencers as extensions of their teams, more community based with deeper collaboration and strategies that benefit all sides of the equation – from the customer to the company, and to the influencer. Influencer marketers will begin to use community growth and acquisition strategies in order to see the largest benefit from their network of influencers. For example, influencer exclusive events influencer newsletters, and community forums are just a few of the tactics that marketers will use when approaching influencers. After all, influencer marketing is a two-way street. First of all, if you don’t have social media as an integral part of your overall digital marketing mix, you need to start now. You can no longer afford to make social media an afterthought. Social media will share a place at the table with the other areas of the digital marketing mix. Influencer Marketing. Everyone wants to do it, but to do it effectively, you need to interact with your influencers on social media. If you are jumping into influencer marketing, you will need to step-up your social media performance. Lead Generation. Looking to increase conversion rates? More marketers will utilize Facebook and LinkedIn paid offerings for driving more leads. They have a key advantage, because people like to stay on their preferred social channels. Content Marketing. Successful digital marketers will utilize social media in creative ways to drive traffic to their optimized content. SEO. Looking to really drive traffic to your website? Integrating social will be necessary to get the most from you overall strategy. Getting noticed in the digital age can be hard. 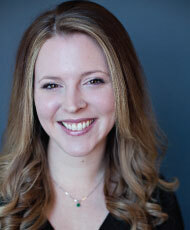 Social Media is consistently offering new ideas and avenues to stand-out. Let’s see what 2018 will bring us! What Is Your Digital Marketing Prediction for 2018? What each of these predictions tell us is that every digital marketing tactic is essential, and has its place. But we’re beyond the point in time where integration is a want, and is now a necessity. Which of the digital marketing predictions above do you think will have the biggest impact on your 2018 marketing strategy? Tell us in the comments section below. 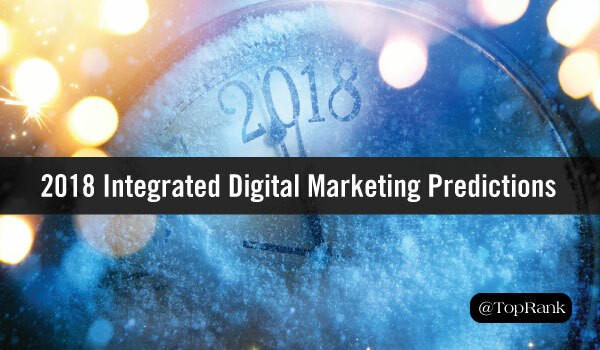 The post New Year, New Outlook: TopRank Marketing’s 2018 Integrated Digital Marketing Predictions appeared first on Online Marketing Blog – TopRank®. The post Digital Marketing News: 2018 Creative Trends, Organic Facebook Dead, YouTube Tightens Up appeared first on Online Marketing Blog – TopRank®. While influencer marketing boomed in 2017, it’s been on the rise for a full decade. In fact, we first posted about it in 2008 after we attended a session at SES San Jose on social media analysis and tracking. Ten years later and influencer marketing has evolved from a rising trend into a proven marketing strategy, causing more and more B2C and B2B companies to start influencer programs of their own. But as marketers dive deeper into the influencer marketing waters, they wonder how the tide will change and ultimately force them in a different direction. Having executed influencer marketing programs for both B2B and B2C brands for the past several years, we’ve had a front row seat to the evolution of influencer marketing. To give you a glimpse into where influencer marketing is already heading and help you stay on top of your influencer game, here are seven influencer marketing trends that are taking over 2018. #1 – Full steam ahead for influencer marketing programs. We touched on it briefly earlier, but as influencer marketing becomes more approachable with tools like Onalytica, Traackr, BuzzSumo, and others, it will also become more popular. For 2018, this means that more and more brands will come online with influencer marketing programs, including both B2C and B2B brands. But what does this mean for your influencer marketing strategy? It means your competition could soon be doing their own influencer marketing campaigns, making it all the more important that your campaign sets itself apart from the rest. Through unique influencer relationships, helpful insights, and new media types, you could take your influencer campaign from “first” to “best.” Or both. Both is good. #2 – Brands are looking to be bold, loud, and different. With more B2B and B2C brands amping up their influencer marketing, brands are thinking of new and innovative ways to differentiate their campaigns. 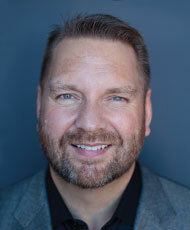 With great content serving as the foundation for any campaign, brands are hoping to stand out by offering unique, bold, and intuitive user experiences, generating an added level of excitement and further engaging audiences. 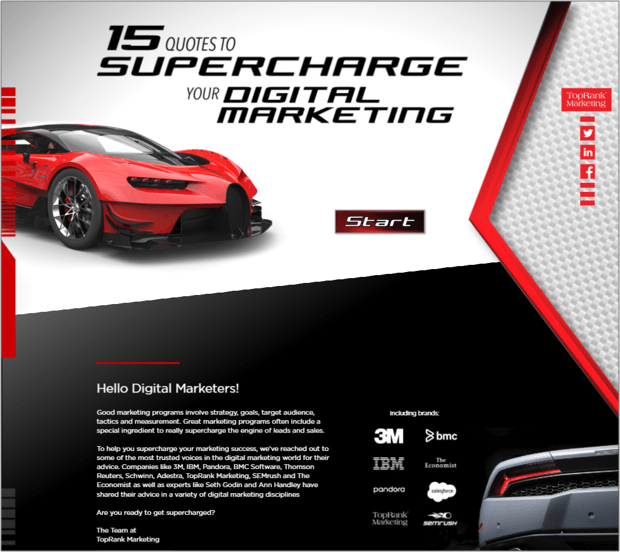 To level up our own influencer marketing user experience, we created an interactive infographic featuring 15 quotes from digital marketing influencers to generate awareness of our agency prior to the Digital Marketing Summit in Minneapolis this past summer. This not only helped engagement with our audience, but it also helped us create something that our influencers were proud to contribute to and share. #3 – Brand focus on business results. At the beginning of its time, influencer marketing was all about reach and awareness. By tapping into an influencer and leveraging that relationship, you could gain the ear of an entirely new audience. Multiply that affect with the number of influencers you work with, and you have a rapidly growing audience. Influencer marketing is no longer just about audience growth, though. Brands are and will turn to influencer programs to drive conversions and engagement, too. What will that look like? From our vantage point, you’ll see an influx of influencer and brand hosted webinars, live stream Q&A’s, endorsements, and other bottom of funnel influencer content. #4 – Influencers turned brand ambassadors. What’s one thing brands are missing when it comes to influencers and their relationships? Oftentimes, it’s exclusivity. Having an influential thought leader all to yourself is a promising premise as it means you are their sole partner in your industry. Well, brands are realizing that this opportunity exists and are getting ready to establish more long-term relationships with influencers. No longer seen as a one-off campaign strategy, brands will start to reach out to influencers for more long-term partnerships. This will result in influencers adopting the role of “brand ambassador” and serve almost as an extension of your internal marketing team. To do this within your own influencer programs, you need to develop your relationships with influencers instead of just reaching out when there’s a need. For example, you can create a VIP program or hub where your influencers can come together and collaborate, share ideas, and become a bigger part of your brand. With this continued nurturing and collaboration, influencers will become more like spokespeople, representing the brand at events, in videos, and through their own content. 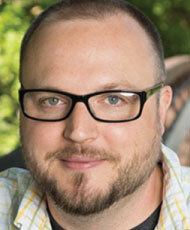 #5 – Campaigns with more money, more capabilities. Remember when we said that influencer marketing is popular, forcing brands to up their influencer marketing game? One surefire way brands can try and elevate their campaigns is through an increased influencer marketing budget. In fact, you can bet on it. In our Influencer 2.0: The Future of Influencer Marketing research report, 55% of marketers reported in that they plan to increase their influencer marketing budget in the coming year. With deeper pockets, brands can invest more into developing their influencer relationships and in creating more high-quality content. For example, brands have more freedom to offer gifts to their influencers in an effort to strengthen their relationships. Plus, an increased budget allows brands to create more “expensive” content like a video series, interactive eBooks, motion graphics, and more. #6 – Influencers are being strategic with their own brand. As the influencer marketing bandwagon continues to roll, influencers have the ability to be more strategic in aligning themselves with different B2B and B2C brands. With more brands approaching them for their contributions, they can be more thoughtful with the partners they choose to work with and how the partnership will help them grow their personal brand and network. Because of this, your programs will need to be custom-made for the influencers you want to work with. 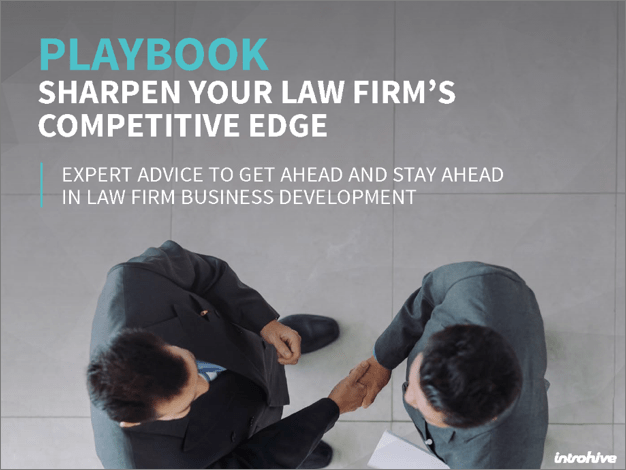 For example, one of our clients was looking to target C-suite leaders at law firms, which lead to the creation of a customized influencer eBook campaign that featured influencers in the legal profession, and delivered extremely thoughtful and relevant to our audience. If there isn’t a perfect fit or relevant value that you’re bringing to the table, your ideal influencers will move on to another brand that does. The influencer has the power of choice in this scenario, so make sure to research your influencers beforehand to create a campaign they can’t say “no” to. #7 – Influence transcends platforms. Now that influencer marketing programs are beginning to expand in size, budget, and tone, brands are also looking to expand their programs onto new platforms and channels. This helps extend the reach of their influencer marketing programs, enabling brands to engage new audiences that were otherwise lost to them. What kinds of channels are we talking about? Periscope, Snapchat, Instagram, YouTube, and others come to mind as it can be challenging for brands to build up audiences on them – especially if your brand voice is more sophisticated. As you head off to execute your influencer marketing programs using the trends above, take advantage of these top influencer marketing tools to track your influencer relationships, performance, and more. 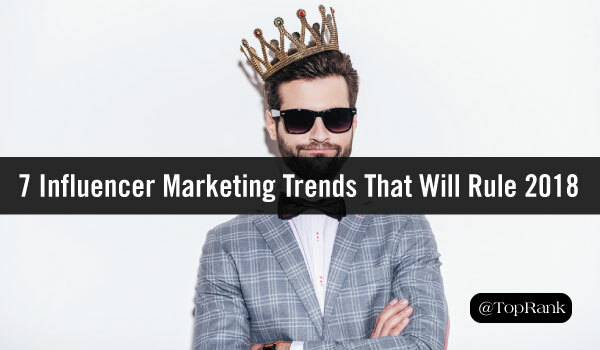 The post 7 Influencer Marketing Trends That Will Rule 2018 appeared first on Online Marketing Blog – TopRank®. 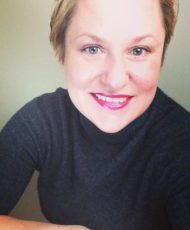 Ask any digital marketer if they’ve been able to set their strategy on autopilot over the past decade, and I bet you’ll get a laugh or two-as well as an emphatic “No.” If we’ve learned anything it’s that the digital landscape is simply too fast-changing to keep the business as usual mindset. 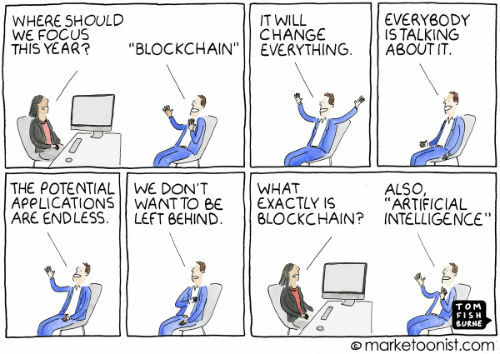 But while the global rise of the internet, the explosion of social media, and the development of mobile technologies and other digital tools and platforms are undoubtedly “to blame” for the constant state of change we operate in-it’s really the everyday use of these innovations that requires our flexibility and attention. Simply put, thanks to these modern essentials, our behavior, expectations and attitudes as consumers have changed-and they’ll continue to. The mobility and network access enabled by mobile phones and tablets, coupled with the incredible amount of content now available (thanks content marketers), means consumers now have the majority stake in developing their own customer journey. In fact, last year comScore reported that users spend an average of 69% of their media time on smartphones-and other research shows that the great majority of people use the internet and mobile technologies to research products before they buy. But what’s the next stage of evolution in consumer behavior? 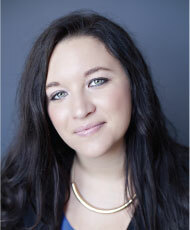 And how can digital marketers adapt their strategies to fit with consumers want and expect? 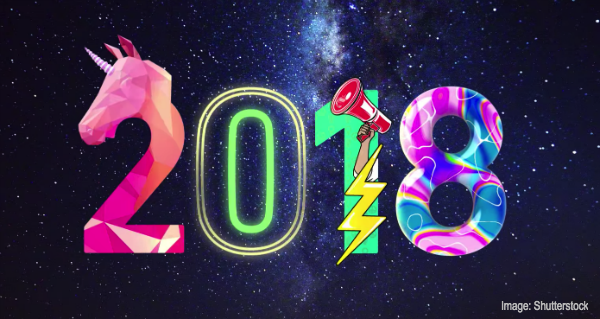 Below we highlight some of the consumer trends that will have (and are already having) a big impact on digital and content marketing in 2018 and beyond. #1 – Voice-activated personal assistance will continue to shape consumer behavior. While voice-command technology began to emerge in the early part of the century, it’s taken on new life over the past couple years thanks to the emergence of mobile personal assistants, and the birth and increasing adoption of tools like Amazon Echo, Cortana and Google Home. What does this mean for brands and marketers? Google says their research also shows that people welcome brands to be part of their experience, and they’re open to receiving information that’s helpful and relevant to their lifestyle. As a result, brands and marketers have the opportunity to explore digital advertising opportunities in this arena. But, perhaps more immediately important, optimizing for voice search is critical. According to Gartner predictions, 30% of all web browsing sessions will be done without a screen by 2020. Some voice search optimization tactics include focusing on featured snippets, using more conversational keywords and content structure, and adding structured data markup to help search engines better understand the context of the content you’re providing. #2 – Consumers want to experience a brand, product or service before they buy-and video is the conduit. I think it’s safe to say that video is no longer an emerging or rising marketing trend-it’s part of the now and the future. According to Content Marketing Institute (CMI) and MarketingProfs’ 2018 content marketing benchmark reports, 72% of B2B marketers and 76% of B2C marketers use pre-produced video as part of their strategies. It’s certainly not difficult to see why video has taken off. Humans are visual creatures by nature, and as the internet, social media and technology have evolved, consumers are spending an increasing amount of time in front of the screen-elevating video as a preferred engagement medium. But a bit of change is in the air. Consumers don’t just want engagement these days. They’re also looking for an experience-especially when it comes to products they’re interested in. According to other research by Think with Google, video is straight up changing how people shop. In fact, in the past year, 40% of YouTube users turned to the platform to learn more about a product before they purchased it. In addition, the watch time of “Shop with me” videos-where viewers actually follow video creators as they shop-has increased a whopping 1,000% over the past two years. “Since many users aren’t going to be able to physically touch a product before they buy it, brands need to come up with creative ways to help people ‘experience’ it online. Think of ways to bring your product to life online so it stands out-like using virtual reality or augmented reality-such as L’Oréal’s Makeup Genius app that lets users virtually try on makeup. #3 – Consumers are growing more curious-as well as more impatient. To say the least, 2017 was an interesting year socially, environmentally, and-of course-politically. As the year unfolded, it’s no surprise that people turned to the internet and search engines to get a better understanding of what’s happening in their communities, countries, and around the world. From Google’s perspective, the wide world of search in 2017 also unveiled new consumer behaviors. In yet another recent Think with Google piece, 2017 saw a “new super-empowered consumer” take shape. Essentially, people are getting more specific than ever in their searches-and they expect and demand useful, relevant information quickly. The takeaway for marketers here is that long-tail search term variations will expand-and perhaps even become a new normal. 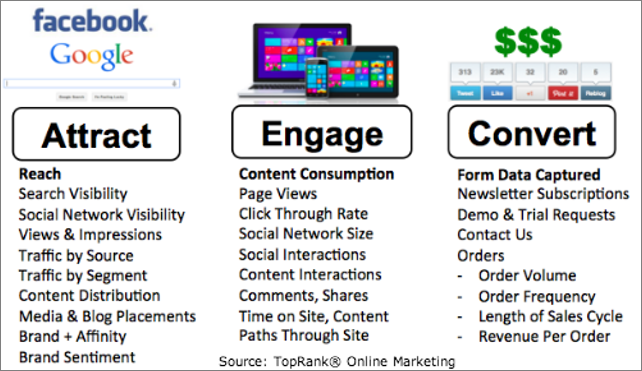 As a result, there’s no better time to double-down on creating-what TopRank Marketing likes to call-best-answer content. This should’ve always been part of a marketers mission, but it will be even more critical in the years to come as search and consumer preferences evolve. In addition, use the data and insights at your fingertips (and pursue new sources) to get a deeper understanding of audience needs, wants and attitudes, develop more holistic consumer personas, and create content and messaging that is highly-personalized. Personalization will be key for meeting consumer demand and expectations. #4 – Distrust is at an all-time high-which calls for more transparency and authenticity in marketing. 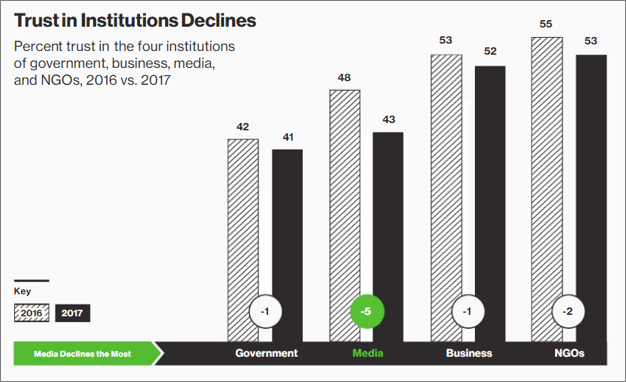 The 2017 Edelman Trust Barometer Survey-an annual trust and credibility survey-showed the largest-ever drop in trust across the world’s four major institutions: business, government, media and NGOs. In the Executive Summary, the opening note is actually titled “The Implosion of Trust,” and it cites major social, economic and political upheaval-and rising “fake news” speculation-as the unsurprising culprits. But the good news is that Edelman’s findings also show that business is the “last retaining wall” of trust. As a result, it’s more important than ever for brands and marketers to commit themselves to transparency and authenticity in all that they do. From embracing both positive and critical consumer feedback on public forums and social media, to losing the jargon and developing a more human voice-transparency and authenticity need to be baked into your strategy, rather than being afterthoughts. One way to add both value, authenticity and credibility to your marketing efforts will be through the use of influencers. Influencer marketing has exploded over the past couple years, and it’s not going anywhere in 2018. Regardless of the type of content, there’s always an opportunity to include credible voices and opinions that will touch and resonate with your audience. As you move forward in 2018, now is not the time to set and forget your digital marketing strategy. On the contrary, you need to be at the ready to make meaningful change. The fact of the matter is that consumers are playing an increasingly powerful role in their buying journey-and brands and marketers need to embrace this if they’re going to survive and thrive into the future. Content is at the core of every digital marketing strategy. 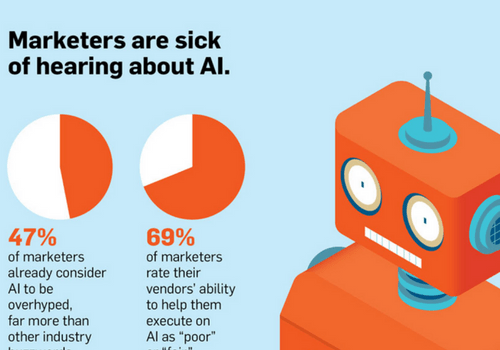 What other trends do marketers need to be on the lookout for? Read Content Conversations: Content Marketing Predictions for 2018 featuring insights from Ann Handley, Joe Pulizzi, Chris Brogan, Alexandra Rynne, Tim Washer, Dayna Rothman, and Chris Moody. 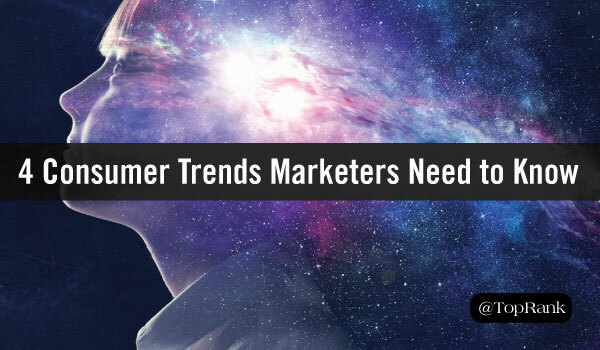 The post 4 Top Trends in Customer Centricity to Drive Digital Marketing Success in 2018 appeared first on Online Marketing Blog – TopRank®. Can Autonomous Stores Catch On? We’ll see you next week when we’ll be sharing all new marketing news stories. Also check out the full video summary on our TopRank Marketing TV YouTube Channel. 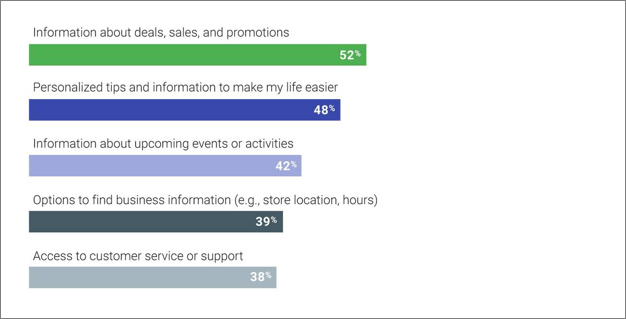 The post Digital Marketing News: What Marketers Think about AI, Autonomous Stores & GSC Adds Data appeared first on Online Marketing Blog – TopRank®. As a 21st century marketer, you already know that data is an important player in the content marketing game. Data helps us understand who our audience is, what they care about, and how our content impacts their decisions. It helps us connect all the dots – and continue to find new dots as attitudes, needs, and preferences change. But is your content marketing strategy taking advantage of all of the data you have at your disposal? 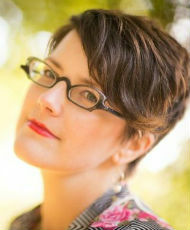 Or is some data left on the cutting room floor? Not too long ago, Forrester reported that companies only use 12% of the data they have at their disposal. The remaining 88% of data is wasted and left unused. But imagine how much more effective your content marketing efforts would be if you upped that percentage even a few points – let alone to 100%. With that said, we want to help you up your data gleaning skills and get the most out of your search, social, and behavioral data. Below are our top tips for becoming a better data-informed content marketer and really boost your content performance. 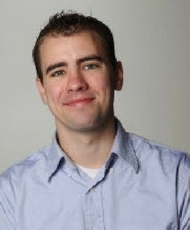 #1 – Create a segmented content pipeline. Odds are, you already track your customers, the pages they visit, how long they stay, and the actions they take on your site. After all, it’s Content Marketing 101 to track your audience and their behavior, but this doesn’t paint a complete picture of your content and how it’s performing. To get a complete, 360-degree picture, you need to analyze the types of content you’re creating and draw some conclusions about performance. Start breaking down your content by bucketing your pieces by length, stage of the funnel, topic, keyword, and other categories that could influence audiences. You can typically find this information in your content management system (CMS), content marketing platform (CMP), or your editorial calendar. Once your content has been segmented, it’s not only easier to see what types of content perform best, but also when they reach their peak performance and with whom. If a pattern starts to emerge, you can then fill up your content pipeline with items that can replicate that same success. #2 – Monitor social activity and engagement. Of the world’s 3.7 billion internet users, 2.7 billion of them are active social media users, according to We Are Social. That’s roughly 35% of the world’s population logging onto social media to discover trending content and share messages with their networks. With that in mind, using social media to distribute your content is a no-brainer. Plus, social networks make it easy for your to track your content’s social engagement through likes, retweets, shares, mentions, replies, etc. But your own social media profiles and posts aren’t the only thing you should be monitoring if you want to create a more data-informed content strategy. Because social is such an important marketing channel, your competition and industry thought leaders will be on social as well. 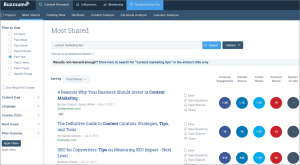 Monitoring their profiles and content, as well as your own, using tools like BuzzSumo or Follwerwonk can help you discover what types of content is really resonating and identify gaps in your own content plan. It’s also a good idea to take a look at your top followers and customers on social to see what types of content they like and share with their own followers. With this data in hand, you can create content that is more suited to their interests, increasing your social engagement. #3 – Refine and create new audience segments. How are your current audience segments built? More often than not, they’re bucketed based off of demographic data. But your audiences are more than their age, location, or gender. 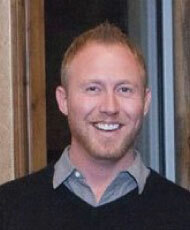 They’re real people with real interests that you can use to your marketing advantage. You just have to find them first. Deliver more relevant content to your customers by further drilling down your audience segments beyond what Google Analytics’ Audience Overview provides. For example, after performing a deep dive into your Google Analytics, social, email, and transactional data, you can perform new segmentation based on where each person is in the funnel, the types of content they’ve engaged in, what they’ve purchased, shared, etc. Your audiences should never be set in stone, either. People change over time and your audience segments should, too. With new audience segments formed with specific criteria, you have more opportunities to create content tailored just for them, improving your engagement rate. #4 – Use behavioral data to find what’s valuable. When creating a nurture campaign or onboarding experience, it’s tempting to throw everything in your arsenal at your audience. This way they have everything they need to know to make a decision, right? The problem with this approach is that “everything” probably isn’t relevant to them. To really get a sense for what matters to each of your audience segments, take a look at your customers’ past behaviors and actions. In analyzing your past campaigns, is there a common touchpoint where customers dropped out or converted? If so, it’s your job to determine what contributed to or influenced this behavior. Was it the content, timing, or cadence? This practice will help you identify what your audience finds valuable and allow you to create campaigns that only present relevant and helpful information. #5 – Repurpose and redeploy what didn’t work. Failure is really just a masked opportunity. Part of being a data-informed marketer is taking information from what worked and what didn’t. If something failed to engage an audience or drive conversions, that is an opportunity to rework and improve – not throw something away and start fresh. Repurposing your content is not only sustainable, but it also has the chance to improve your reach, engagement, completed calls to action, and more. Instead of scraping content that might have flopped or didn’t get the social engagement you were aiming for, dig deeper into the data to find what part of your content didn’t work. If no one clicked on your content to begin with, fixing the problem could be as simple as updating your promotional messages (e.g. emails, social messages, etc.) or meta description and title tags. Alternatively, if readers are exiting your content early, you may need to add more meat to your content to pique their interest and keep them reading longer. The bottom line is that there is no such thing as bad results – even a “bad” result can tell you an awful lot about what’s happening with your content. By using the advice above, you can begin to create an effective content marketing strategy that works and weed out the practices that don’t. Get a jump start on removing those bad habits by removing these five outdated content marketing tactics from your playbook. 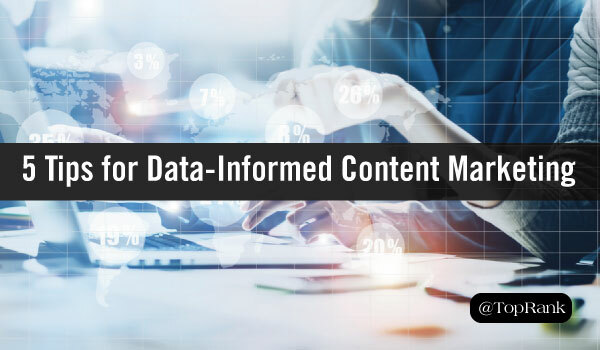 The post How to Become a Better Data-Informed Content Marketer appeared first on Online Marketing Blog – TopRank®.